On November 11, 1887, three years after the community’s founding, the first Rite of Mission for East Africa took place in St. Ottilien. One priest, one frater, eight brothers and four sisters set off for the Apostolic Prefecture of South Zanzibar. During their journey, they stopped in Rome to make their religious profession in the Church of Campo Santo next to St. Peter’s. Already in March 1888, the missionaries could move into their newly built house in Pugu, about 12 miles southwest of Dar es Salaam. The “white women” were gazed at in wonder by the African women and were soon loved, especially by the children. But tropical diseases beset the young brothers and sisters. Sr. Lioba Ellwanger, the cook, died of fever over night; Sr. Raphaela Kamphaus had to return home. The brothers fared no better. The gravestones of the brave missionaries are a silent witness today to their youth offered for the Kingdom of God. An uprising against the German colonial power soon endangered the mission. Two sisters and seven brothers were in Pugu on Sunday, January 13, 1889, when insurgents overran the mission and burned it completely to the ground. Two brothers and Sr. Martha Wansang were killed immediately, three wounded brothers and Sr. Benedikta Sivering were taken captive and released in March after a heavy ransom was paid, and two brothers secretly escaped. The Pugu rebellion only enhanced the desire of the German sisters to return to African soil to bring the Good News. In 1889 a new foundation was made in Dar es Salaam. 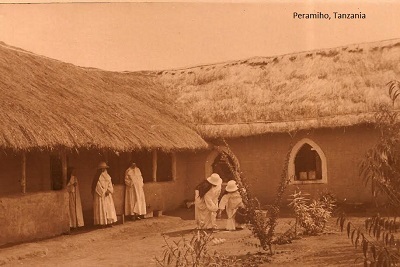 Later, in 1901, the first four sisters came to Peramiho. With true missionary zeal, they bore the difficulties of the climate, disease, language and culture. They started immediately a “hospital” and school. However, tragedy descended upon the community once again, this time in the “Maji Maji Uprising” of 1905. 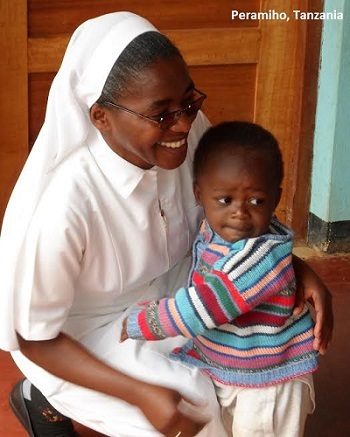 Sr. Felicitas Hiltner and Sr. Cordula Ebert were en-route to their new assignment in Kigonsera (Peramiho Priory) when they were murdered along with Bishop Cassian Spiss and two other monks. Hearing rumors of the rebels nearing Peramiho, the missionaries fled. The mission was attacked and destroyed. 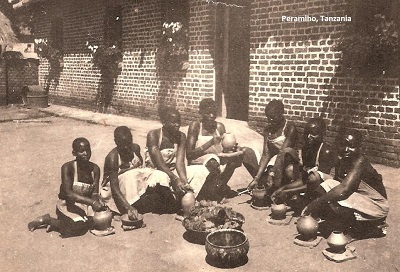 Never to be stopped, within two years the missionaries returned to Peramiho with new vigor and confidence in God’s help. Yet, once again, during World War I, under British occupation, the missionaries were taken prisoners to South Africa and were later repatriated to the Mother House. Finally, in 1923 three non-German sisters were allowed to return to Peramiho. By 1926 the Germans were allowed back and a steady influx of new missionaries came to build up the mission. There was an intense need at this time for well-trained personnel to open the Teacher Training School and Trade School according to the rules of the British government. Twelve outstations were founded under the first Prioress, Sr. Ermenilde Morrisey. In 1933 Peramiho Priory was officially established under Abbot-Bishop Gallus Steiger. The priory grew to nearly 100 sisters. Already in these early years, many of the native girls expressed their desire to become sisters. It was decided to help them found their own community. The girls were taught by our sisters and had their first convent on our compound. This was the birth of the Congregation of St. Agnes (often referred to as “The Chipole Sisters”) which has grown to be over 700 members today. World War II brought its own challenges. However, the prudent negotiations of Abbot Gallus made it possible for the missionaries to remain in Peramiho but with many restrictions. No letters, goods, money, or new sisters could be received from Germany. This added to the hardship of their already difficult situation. By the 1950s fewer and fewer missionaries could be sent from the Mother House and the hardships of missionary life became burdensome for many of the senior sisters. It became impossible to keep up all the outstations. One mission after another was handed over to the Chipole Sisters. However, as our congregation also developed, new missionaries were sent, first from the Philippines and later from other countries. In the early 60s a strong political independence movement began in the country and Tanganyika became independent under Julius Nyerere. The name of the country was eventually changed to Tanzania. 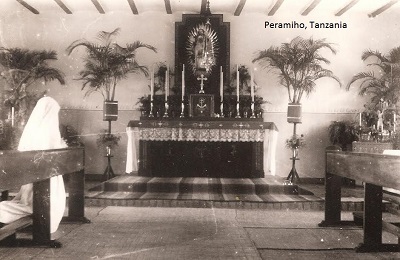 In 1969 the Peramiho local Church received its first African bishop: Bishop James Komba. Many of our schools and institutions were nationalized. 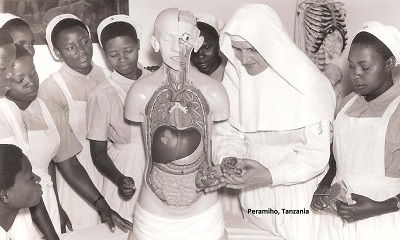 However, uncertainty of the political situation lingered heavily and in 1973 the sisters were invited to follow the monks to establish a new foundation in Kenya in case they would have to flee once again the Peramiho mission. This little sprout developed well into our Sacred Heart Priory in Nairobi. 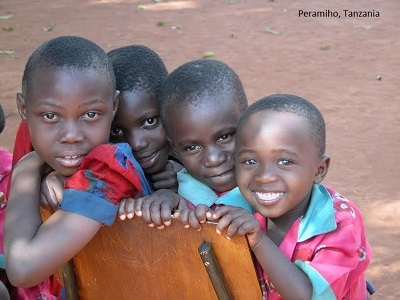 In the 1980s a “New Chapter” began in the Peramiho Priory history when the first African candidates were received. This hopeful step was initiated by our far-sighted Prioress, M. Isentrud Lehner. Our first candidates were sent to Nairobi for formation. By the concerted efforts of Prioress M. Pia Portmann and the help of Filipino missionaries, in the year 2000 Peramiho Priory developed its own formation program. To this day, there is a steady increase of new members into the community. As of 1 January 2015 the community numbers 45 final professed sisters, 10 junior professed sisters, 7 novices, 12 postulants and 2 aspirants. With the renewed hope and vigor of new members, ministries could be strengthened and new ministries established. At this time the sisters are engaged in the following ministries. • St. Martin’s Hostel for girls attending government schools.